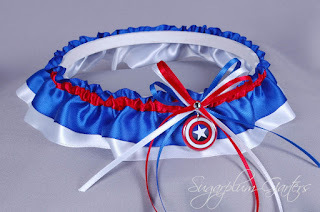 Next up in this week's Superhero showcase is Captain America. Captain America wasn't a superhero I was overly familiar with until I saw the movie a few years back, but he seemed like a perfect addition to my collection, especially with that shield charm that looks perfect on a charm! 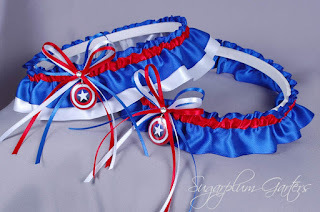 If you've purchased a Captain America garter from Sugarplum Garters, I would love to see pictures! 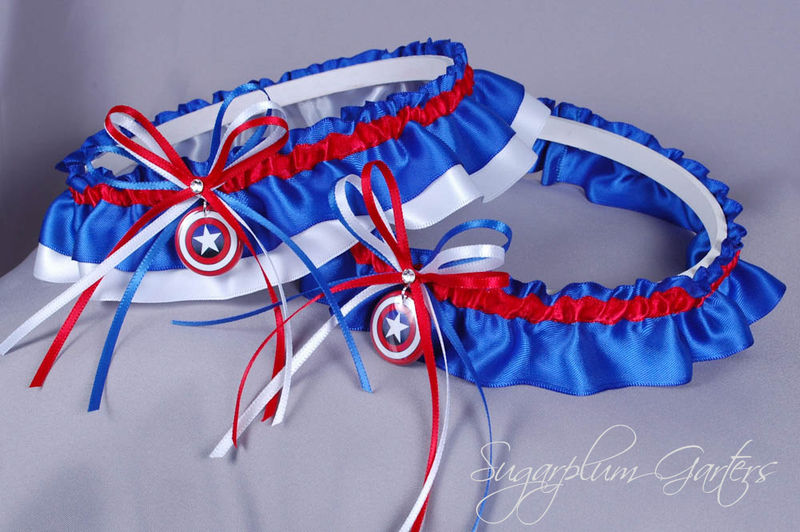 The Captain America wedding garter set is available for purchase on my website here; the keepsake garter can also be purchased separately.